I really like Clinique Chubby Sticks - the look, the colours, the ease of use, the texture, the whole idea of them but the colour doesn't last at all. I have Whoppin' Watermelon and Two Ton Tomato both beautiful colours but I have to re-apply all day long - not a problem as they are so easy to use and carry around but I would expect the colour to last a bit longer than it did. I am a bit of a lip chewer but these wore off quickly, even for me. 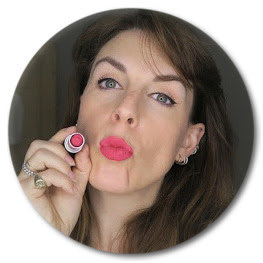 Now this is a moisturising lip colour - more of a balm than a stain or a gloss. It moisturises beautifully and the colour wears off evenly so you are not left with any unfortunate lines or marks but for £16 I would expect better especially with cheaper alternatives available from Revlon. There are mixed reviews about it on the Clinique website - I'd definitely recommend for those who hate to wear anything on their lips but need a bit of colour as it's great for moisturising and ease of use but if you want long-lasting intense colour in a balm then this isn't it. I would say that Ten Ton Tomato is fantastic if you are scared of or don't really suit a red lip. I have quite a small top lip so it's hard for me to find a red to suit - this colour and texture is perfect and I can be as bold with it as I like. Now of course you can get Chubby Stick Intense but the colours just aren't as appealing to me... what do you think?